To be frank he has lived up to his words and his actions after becoming the chief Minister have confirmed his stand Mahinda Rajapaksa promised many steps regarding the Northern Provincial Council. He believed Rajapaksa, as the promises were made by the President. As expected Rajapaksa doled out the promises as a cheap politician which were to please C.V. who served as a Supreme Court Judge upholding justice and truth while meeting out punishment to cheaters etc rightly felt his let down by a president. 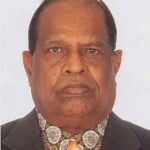 C.V. in his battle with a military governor fought to assert his authority and rights but political power used against him did not bring the desired results until Maithiripala Srisena became the new President who is now trying to win the hearts and minds of Tamil people with some cooling measures but so far avoiding the sixty years …. malignant Tamils’ problems. 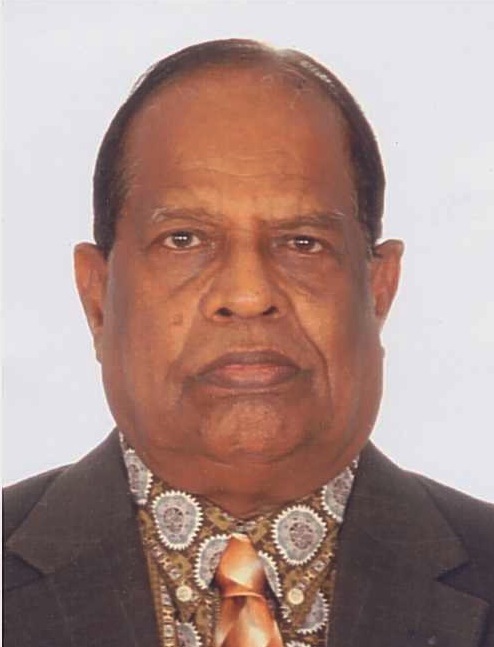 Maithiri is morally and duty bound to solve his problem while in office and without delay, as he owes this responsibility as the President, as his victory was mostly achieved due to the backing of the Tamils. This recent statement as to Sri Lanka belonging to Sinhalese, Tamils and Muslim shows a shift from the “Mahawamsa mentality” of past Sinhala political leaders. Maithiripala Srisena as a believer in democracy should pursue and enforce the “Rule of law” Accountability for crime and punishment for perpetrators and “Good Governance”. Failing in any one of these cherished principles will only consign him as another political opportunistic having missed the chance to behave like a statesman C.V. Wigneswaran’s genocide resolution, though over due is bold forthright and deserving. A process of genocide, overt and covert has been set, in motion from 1948, the year of independence. The failings and opportunistic politics of past Tamil political leaders coupled with the ruthless state suppression encouraged Sri Lankan state terrorism which emaciated the political power and strength of Tamils. The hands of Tamils are now full with various issues glaring at their faces, most important are the militarization and land grabs by the Security Forces leaving the civilians, landless occupation less, livelihood less and at the mercy of Security Forces. The protests of civilians spearheaded by C.V. do not appear to be making any impact on the Govt. To compound the problems and make matters worse, Maithiri’s partners like Ranil and Champika are coming out with conflicting and contradictory stands and statements which only cast doubt on the sincerity of Maithiri’s Govt. While Maithiri is praising C.V. as a good man with whom it is easier to solve North and East problems, Ranil blurts out saying ‘C.V. is a liar and is not worth talking to him’. While Maithri understands the judicial honesty of C.V, Ranil finds it difficult to stomach C.V.’s honesty in politics which is nothing but anathema for Ranil . As far as Tamils are concerned, TNA the sole representatives are pursuing a path of wavering and indecisiveness while some are ‘advocating don’t displease Maithri by protests and opposition and trust Maithiri Mantram’ with some concentrating on ‘genocide’ and ‘International Investigation’. Mannar Bishop had fervently pleaded for a united Tamil national alliance and without doubt his plea reflects the plea of all Tamils. TNA is better advised to become a ‘Tamil United front’ accommodating all the Tamil groups while removing the alliance’ one and for all. The TNA leadership must be revamped to allow for highly motivated, fear less and truthful individuals fixed on a determined path to salvage the battered Tamils. The plain and stark truth is Tamil politicians have always been outmaneuvered in the past despite the world wide sympathy and support of Diaspora. The current Maithiri’s Govt. is now on a diplomatic track to weaken and finally dismantling the international communities’ support to the Tamils and their determined efforts to haul up Sri Lanka. Maithiri’s soft comments on Wigneswaran appear and aim at breaking his defiant and realistic postures concerning the militarization and genocide issue, which is now in the records of Tamil’s history, awaiting proper justice. It is hoped that Wigneswaran, a past dispenser of justice and believer in truth will hold on to his principles to open a way for Tamils to live with dignity and self respect. However, with no unanimity of support from the other TNA members, he is facing a tough task which, it is hoped will become easier due to the growing support of Tamils world wide. Wigneswaran’s out bursts at the Tamil Nadu politicians and Tamil people criticizing their emotional support, though tinged with some truth, is untimely and unnecessary. Tamils particularly, Tamil Nadu people have not forgotten the sufferings of Tamils and the state terrorism of Sinhala Govts. Their feelings for Tamils lie dormant and any expression of their feelings is simply their democratic right which cannot be condemned but only be used to support the causes of Eelam Tamils. However it is opportune time to extend full support to Wigneswaran’s pragmatic and unbending approach to stop the political debilitation of TNA which is now in dire need of many Wigneswarans to resurrect the dying Tamil race in Sri Lanka. Maithiri’s latest act of conferring the highest military honour of Field Marshal to Sarath Fonseka who conducted the genocidal war and qualified as a war criminal shows the true colours of Maithiri and his determination to protect the war criminals. No wonder many diplomats boycotted the function of Maithiri and Sarath Fonseka voicing their disapproval. Modi, the Indian Prime Minister who visited Sri Lanka including Jaffna promised many things to TNA even requesting TNA to trust him to solve the Tamils problems. Only time will tell whether his words will be translated into action which appear to be nil as Sri Lankan Govt. has already declared their stand by stating their rejection of any foreign Leaders or Govt’s interference with proposals to settle 60 year old problem.